Text Text : Blah Blah - Blogsite of Cartoonist Sumit Kumar. 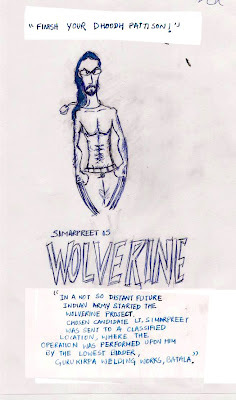 : Simar is WOLVERINE! was talking to simar today, when asked him about his army posting he said "classified"